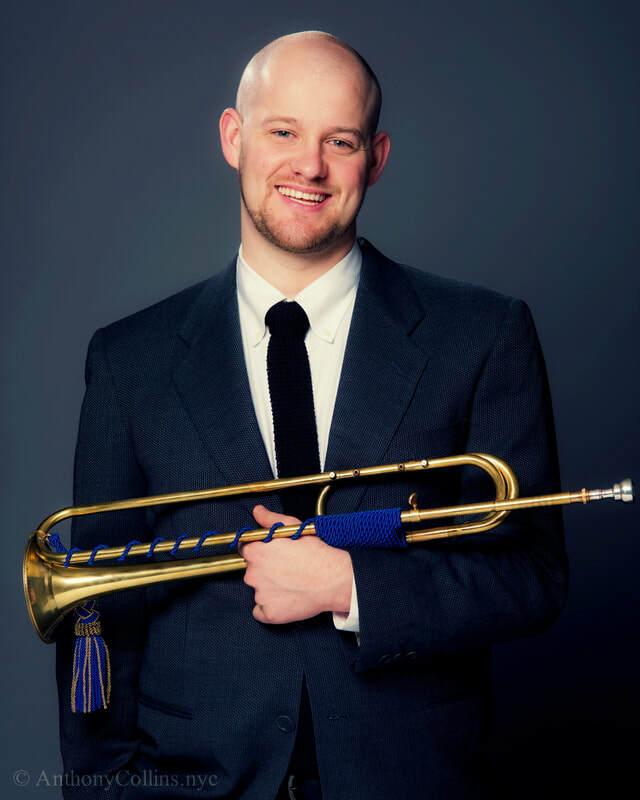 Created by New York City based soprano Corrine Byrne and trumpeter Andy Kozar, the Byrne:Kozar:Duo presents historically informed performances of Baroque music for natural trumpet and soprano in addition to commissioning new works for modern trumpet and soprano. They have been said to create 'an arresting symbiosis in their melding of voice and trumpet timbres' (Textura) and that the 'trumpet and voice seem to take on one another's qualities' (Bandcamp Daily). As individuals, Corrine has been called a ‘celebrated singer’ (Broadway World) and 'a rising star' (Arts Westchester) while Andy has been called a 'star soloist' (TimeOutNY) and ‘polished and dynamic, with very impressive playing’ (Baltimore Sun). Combining their strengths as performers and interpreters of both early and modern music, the Byrne:Kozar:Duo has commissioned new works by composers including Reiko Futing, Paula Matthusen, David Smooke, Scott Worthington and Scott Wollschleger. As recording artists, they can be heard on a recent release of the music of Scott Wollshleger on New Focus Recordings which was named a Notable Recording of 2017 in The New Yorker. Recent appearances include performances at the Boston Early Music Festival, Divergent Studio at the Longy School of Music, and New Music Miami. Hailed as a "distinguished" "rising star" who sings "to great acclaim," and gives "delightful performances," New York-based soprano Corrine Byrne has quickly become a sought-after interpreter of repertoire from the Medieval to the Baroque era, and music by today's most daring contemporary composers. Byrne's most recent roles include Filia (Jephte), Anna (Die Todsünden), Cathy (The Last Five Years), Gretel (Hansel and Gretel), Doctor in the workshop previews of The Scarlet Professor by Eric Sawyer, Anima in Hildegard von Bingen's Ordo Virtutum, and covering the title role in the North American premiere of Handel's Almira with Boston Early Music Festival. Byrne was one of 40 soloists in a rare performance of Luciano Berio's major work "Coro" under Berlin Philharmonic conductor Sir Simon Rattle with the Lucerne Festival Academy Orchestra in Lucerne, Switzerland. She has also appeared as a soloist with the REBEL Baroque Ensemble, One World Symphony, the Madison Bach Musicians, Manhattan School of Music Symphony Orchestra, Plymouth Philharmonic Orchestra, New York Session Symphony, Westchester Oratorio Society, the Harrisburg Choral Society, the Kansas City Baroque Consortium, the UMass Bach Festival and Symposium, Capitol City Opera Harrisburg, Amherst Symphony, the Randolph Chamber Orchestra, and she performed as a member of the Carnegie Hall Chamber Chorus performing Tallis' famed work Spem in alium with the Tallis Scholars as part of Carnegie Hall's Before Bach series. Byrne also sang with the Lorelei Ensemble for their 2015-2016 season where the group premiered a new arrangement of love fail by David Lang at the Isabella Stewart Gardner Museum and also gave a performance at the Trinity Wall Street Twelfth Night Series where Byrne was featured as a soloist in the New York Times acclaimed performance of Perotin's "Beata Viscera." Byrne is a core and founding member of Ensemble Musica Humana, which has presented concerts across the U.S and Canada, has recorded two full albums, has appeared in the BEMF Fringe Festival and SoHip concert series, founded the Pioneer Valley Early Music Day, and has appeared on the BBC adaptation of “Poldark.” Byrne is also a core member of Tempus Continuum Ensemble, a group that has received a Jerome New Music Fund award and has been presented by the Arts in the Village Series alongside the Manhattan String Quartet and the Boston Trio. Byrne also works with trumpeter Andrew Kozar to broaden the repertoire for solo trumpet and solo voice with the Byrne:Kozar:Duo, whose recording of 'Bring Something Incomprehensible Into This World' was featured on Scott Wollschleger's 'soft abberation' -one of Alex Ross' picks for 'Notable Recordings of 2017' in The New Yorker Magazine. The duo will be presented in 2018-19 by the Boston Sculptor's Gallery, Oklahoma City University, Versipel New Music, Southern Louisiana University and The Lake George Music Festival. Byrne also sings polyphonic mass settings weekly with the Schola Cantorum at the Church of St. Vincent Ferrer in Manhattan under James Wetzel. Byrne has collaborated with and performed world premieres of works by composers Scott Wollschleger, Paula Matthuson, Reiko Futing, Anne Goldberg, Alex Burtzos, Kevin Baldwin, William McKinley, Reiko Yamada, Carson Cooman, Eric Sawyer, Scott Worthington, David Smooke, and Alex Weiser. She also has worked one on one with composer/director of Santa Fe Chamber Music Festival Marc Neikrug on his Pueblo Songs which culminated in a performance featured in NewMusicBox. Byrne performed at Gracie Mansion as a soloist with West Side 5 for Mayor Bloomberg and all of the New York City Council. Byrne appeared on a career development panel alongside Kent Tritle and Damien Sneed at Manhattan School of Music, and has given masterclasses at Wagner College, Florida International University, Randolph College, and North Carolina Governor's School West. Byrne was a finalist for the 2012 Career Bridges Grant Awards, a National Online Round winner in the 2013 Classical Singer Magazine Competition, a finalist in the Handel Aria Competition as part of the 2015 Madison Early Music Festival, and a semi-finalist in the 2016 New York Oratorio Society Solo Competition. She holds a B.M from UMass Amherst where she studied with Janna Baty and Amy Johnson, an M.M from Manhattan School of Music where she studied with Mark Oswald, and she recently received her D.M.A from Stony Brook University where she studied on scholarship with Randall Scarlata. She is currently on the faculty as Assistant Professor of Voice at Susquehanna University, and lives with her husband trumpeter Andrew Kozar in both New York City and Selinsgrove, PA.
A strong advocate of contemporary music, he is a founding member of the contemporary music quartet loadbang which has been called ‘inventive’ by the New York Times, ‘cultivated’ by The New Yorker, and ‘a formidable new-music force’ by TimeOutNY. With loadbang, his playing has been said to be ‘polished and dynamic, with very impressive playing’ by the Baltimore Sun, and that he 'coaxed the ethereal and the gritty from [his] muted instrument...and revealed a facility for shaping notes and color' by the San Francisco Classical Voice. He is also a member of TILT Brass, the Byrne:KozarDuo, and has performed with new music ensembles including Bang on a Can, Ensemble Signal, Argento Chamber Ensemble, Talea Ensemble, Ensemble Echappe, Ensemble ACJW, Wet Ink, and Mark Gould’s Pink Baby Monster. He has performed alongside artists such as Dave Douglas, Pablo Heras Casado, James Thompson, Mark Gould and Brad Lubman, in addition to working closely with numerous composers including Helmut Lachenmann, Augusta Reed Thomas, Christian Wolff, Joe Hisaishi, and Pulitzer Prize winning composers David Lang and Charles Wuorinen. Kozar has performed at venues both domestically and abroad including Carnegie Hall, Lincoln Center, The Kennedy Center, MoMA, Rothko Chapel, The Barclays Center, and Shanghai Symphony Hall.